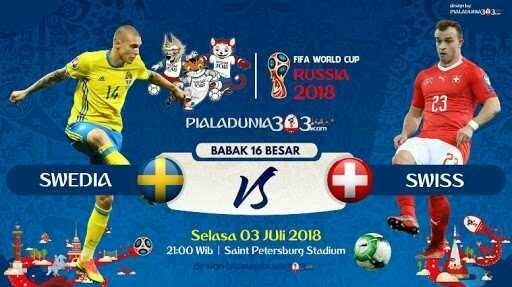 Sweden and Switzerland had the opportunity to scratch the history of the duel in the 16 World Cup 2018 at Krestovsky Stadium on Tuesday (3/7/2018). Both can return to reach the World Cup quarterfinals after so long waiting. The two countries have met 28 times. But this is the first time Switzerland and Sweden have dueled in big competitions. In the previous duel, Switzerland winning thin with 11 to 10 wins. Emil Forsberg and Marcus Berg took a total of 21 from 37 shots in Sweden at this year's World Cup. But they both have not scored. Accuracy of successful bait Sweden in the knockout World Cup 2018 only reached 72.8 percent. They are just better than Iran and Iceland. 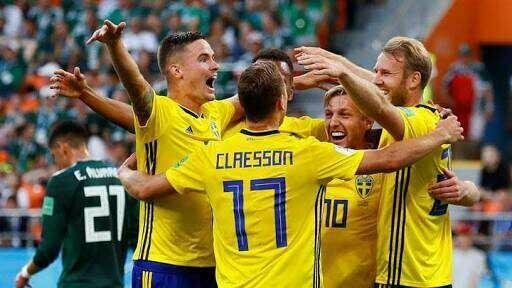 Sweden is one of the surprising teams that qualify from Group F. Blaugult successfully beat Mexico 3-0 in the final game and is entitled to the status of the group champion. Landing team Janne Andersson will face runner-up Group E, Switzerland. Comparison of the strength of both teams was not too flashy. 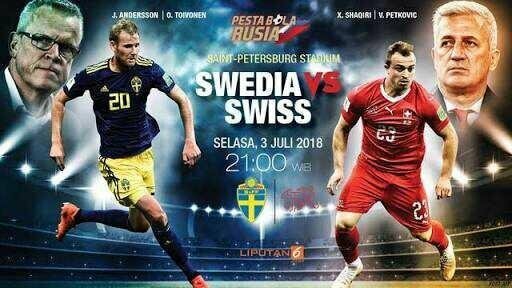 Sweden vs Switzerland match will be a militant team duel. Rely on physical strength, speed, and excellent stamina. Switzerland and Sweden have almost the same style of play. But, Switzerland has a number of players who can be a differentiator through the ability of individuals. Xherdan Shaqiri will be the main threat of the Swedish defense. Switzerland I am predicted to win 2-1 over Sweden.